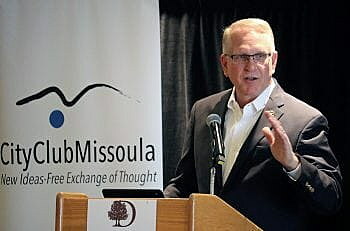 (KPAX) In a position at odds with the Trump administration, Montana Attorney General Tim Fox and his Ohio counterpart told a federal appeals court Monday that the Affordable Care Act — “Obamacare” — should not be thrown out entirely, although part of the law is unconstitutional. Fox and Ohio Attorney General David Yost, both Republicans, said in a filing with the 5th U.S. Court of Appeals that a federal judge’s decision to invalidate the entire 2010 health-care law is judicial overreach that could set a dangerous precedent. U.S. District Judge Reed O’Connor of Fort Worth, Texas, ruled last December that the ACA individual mandate requiring all Americans to buy health insurance is unconstitutional, and therefore the rest of the law is invalid. His ruling came in a lawsuit filed by 20 Republican attorneys general. Fox and Yost weren’t among them. A group of Democratic attorneys general has appealed the Texas judge’s ruling. Last week, the Trump administration announced it is supporting O’Connor’s ruling and opposed the appeal. Republicans in Congress essentially repealed the individual mandate in December 2017, when they passed the federal tax cuts, reducing the penalty for violating the mandate to zero. Fox and Yost agreed that the individual mandate is unconstitutional. But they said that ruling doesn’t mean the whole law must be thrown out. They said courts can strike down entire laws only if the unconstitutional provision makes the remainder of the law “incapable of functioning independently,” or if Congress has made it clear that it prefers no law versus a law without the flawed provision. Neither circumstance applies in this case, they said.